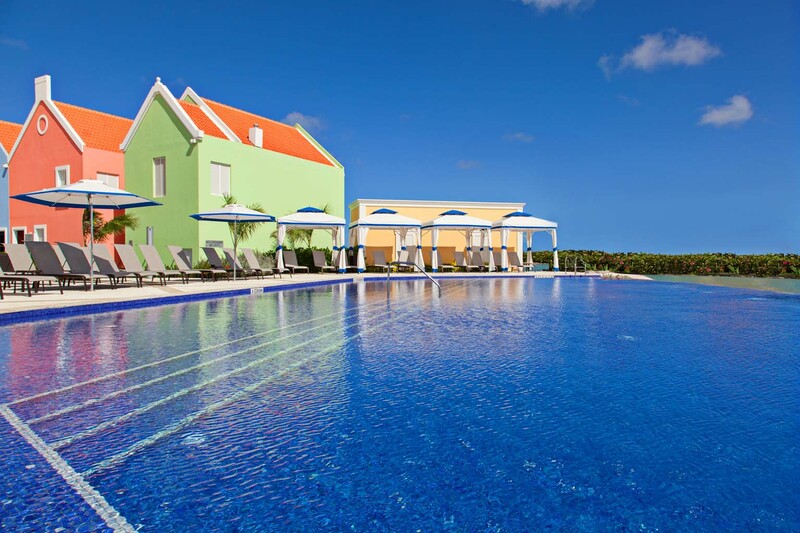 Select from our list of Bonaire hotels and resorts. Belmar Oceanfront Apartments is an intimate complex affording spectacular ocean views for its loyal clientele. These newly remodeled deluxe units, in a quiet residential area outside town, overlook a garden terrace with new pool. You're only steps from the sea at Belmar! 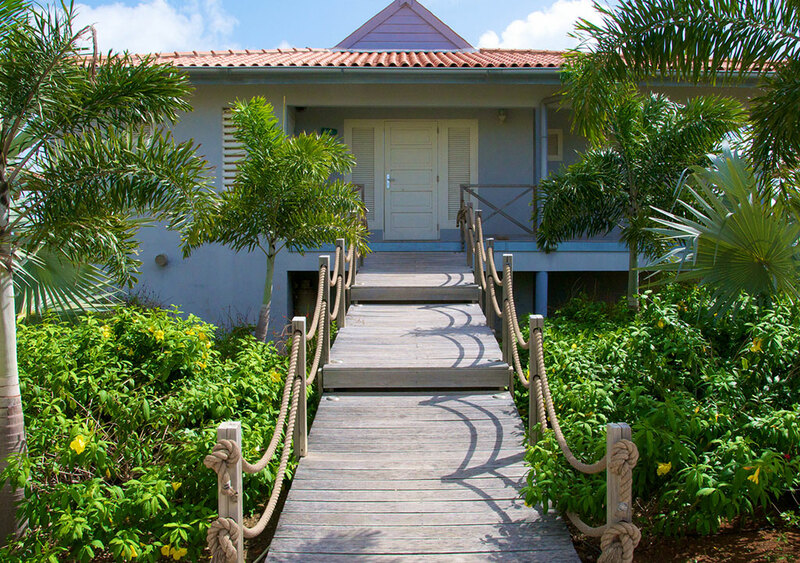 Caribbean Club Bonaire is a quiet retreat where Dive, Relax or Explore become each day's only concerns. 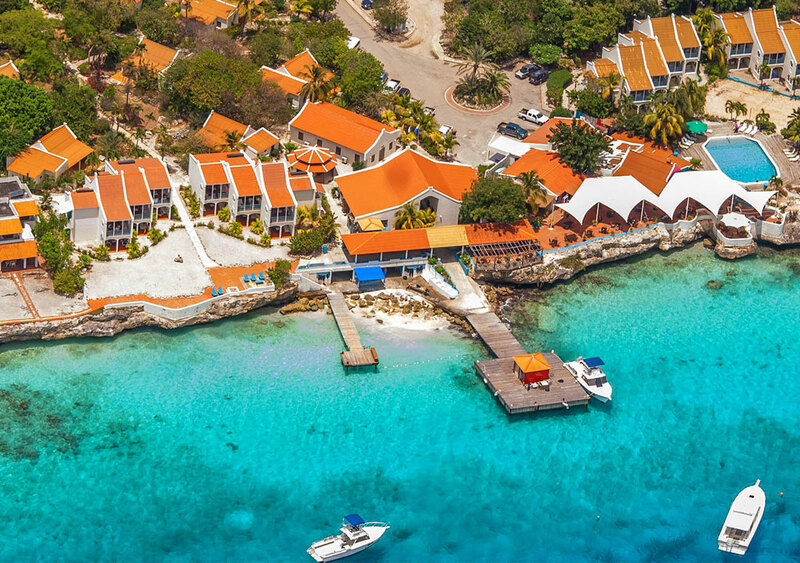 Their updated accommodations, terrific staff and unique setting make Caribbean Club Bonaire a resort you'll want to return to. 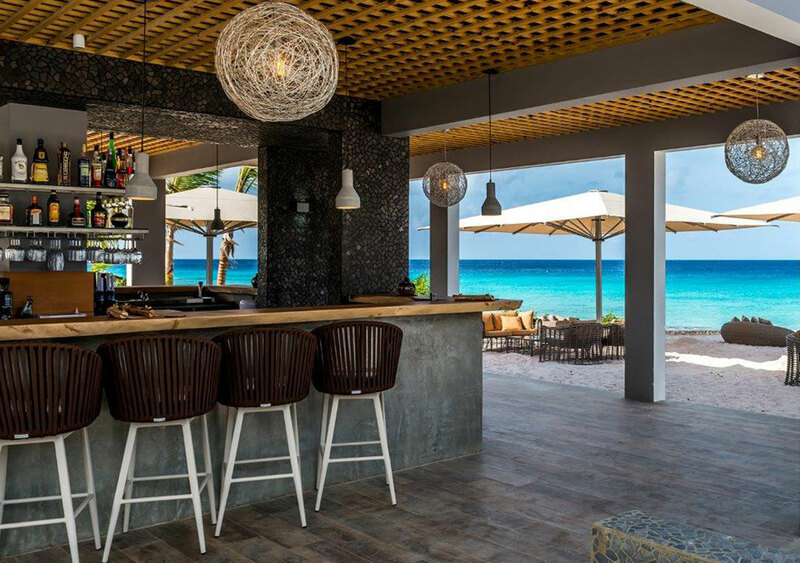 Delfins Beach Resort is Bonaire's newest and brightest oceanfront property. 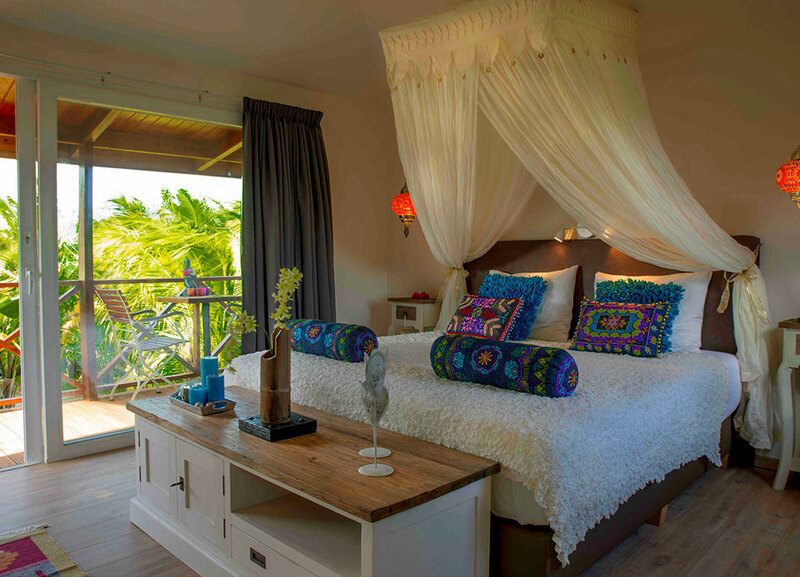 Designed to conform to their unspoiled Caribbean landscape, guests enjoy a contemporary, upscale enclave fronted by an idyllic beach on Bonaire's south coast. 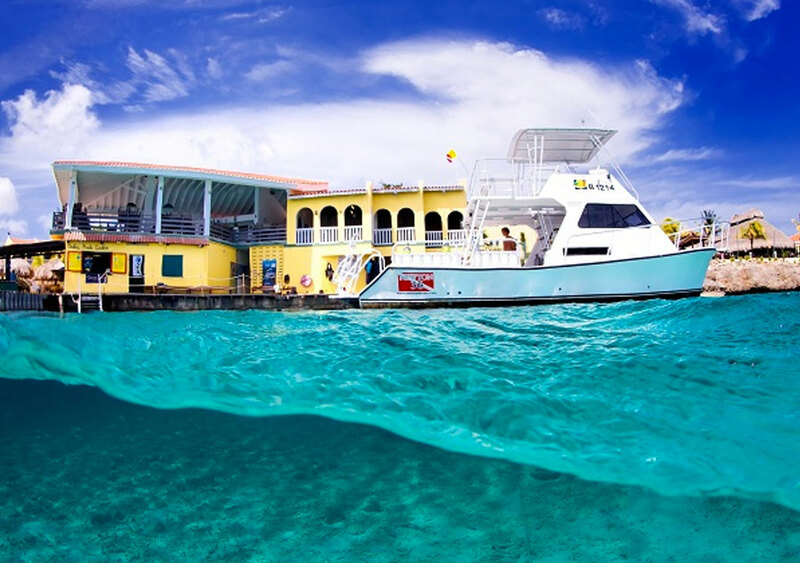 Delfins delivers a memorable Bonaire experience. 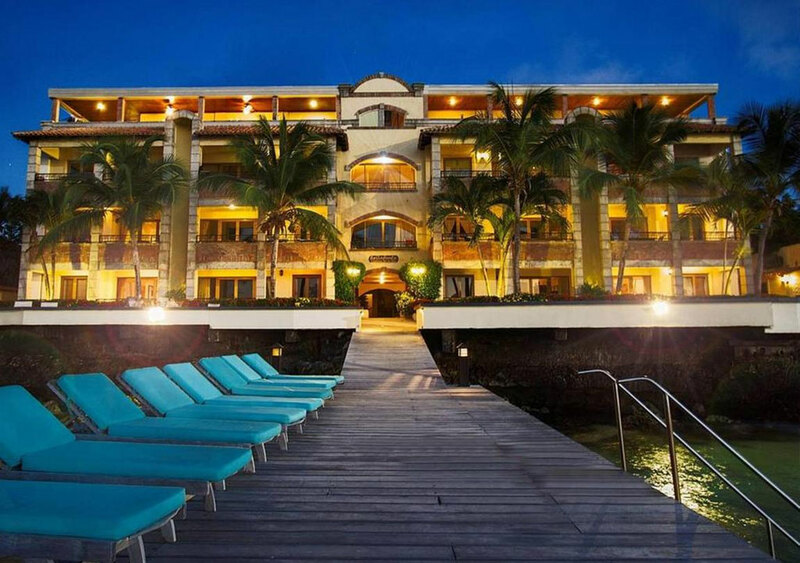 Bellafonte Luxury Oceanfront Hotel is a premier oceanfront complex which offers paradise in a private yet grand setting. This idyllic retreat is tucked away from the crowds and offers the discriminating traveler world class accommodations that feel like home. 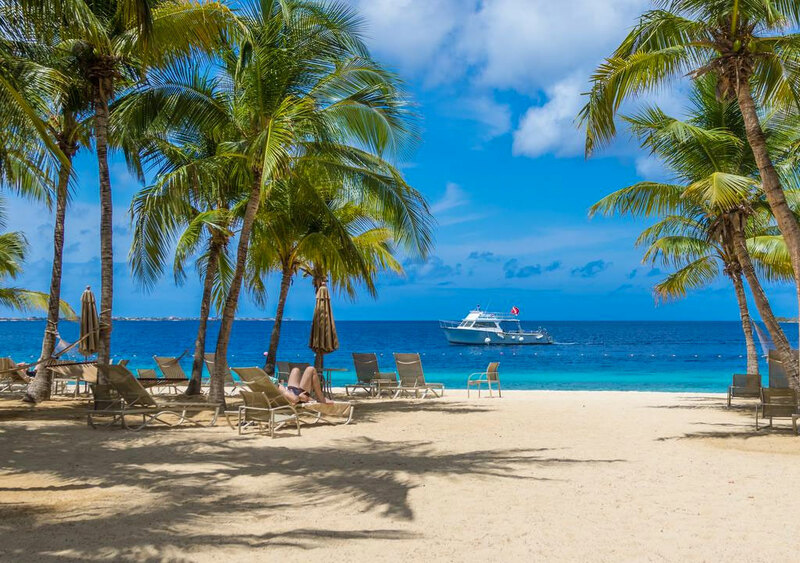 Buddy Dive Resort is an oceanfront island getaway with world-class diving, casual style and an accommodating staff that draws guests back year after year. This friendly, personal service has become the trademark of Buddy Dive Resort. Captain Don’s Habitat is an oceanfront resort set among tropical gardens and native landscaping. Their motto -- ‘Diving Freedom’, 24 hours a day, 365 days a year – still rings true. 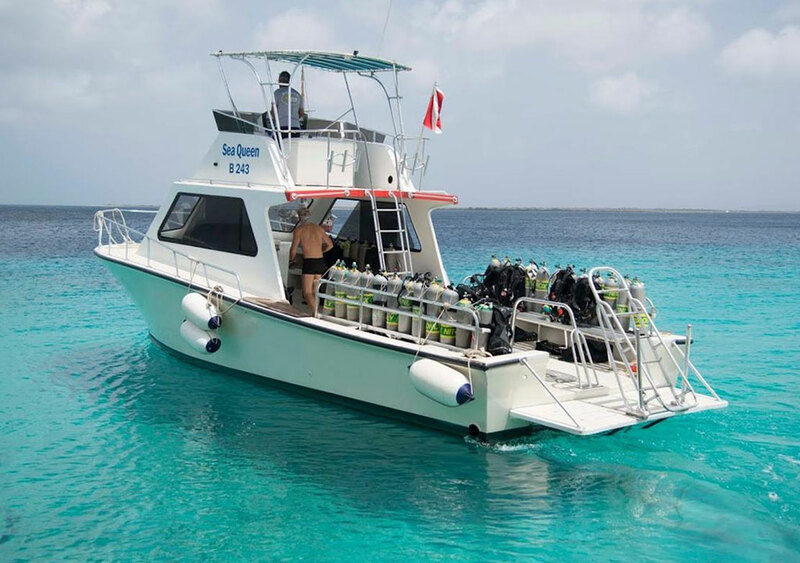 The resort’s founder is the legendary Captain Don Stewart, pioneer of Bonaire marine conservation. The Den Laman Condominiums offer guests an ideal oceanfront setting with only 16 apartments. You'll enjoy the conveniences of a large resort in a small complex with modern furnishings and decor. 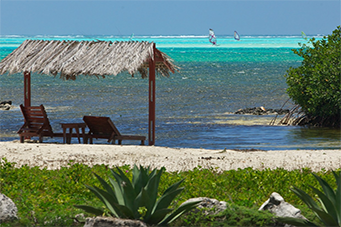 Great views, location and premier diving and snorkeling make Den Laman special. 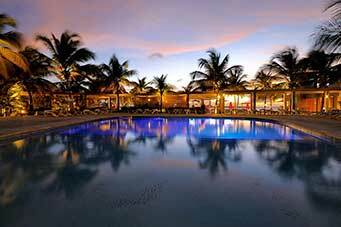 Casual, fun and newly updated, Divi Flamingo Beach Resort & Casino is a colorful Caribbean landmark on Bonaire. The beautifully landscaped grounds and complete resort amenities and dive operation compliment rooms with garden and ocean views. 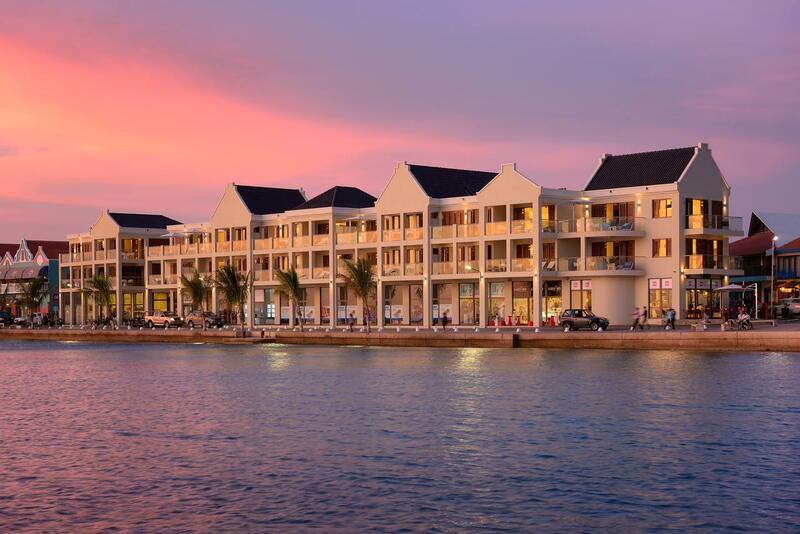 Nestled within a lushly landscaped four-acre peninsula with private white sand beach and marina, Harbour Village Beach Club offers serenity in a luxurious retreat setting. Beautifully appointed rooms and suites are just steps from the beach, full service dive operation, seaside restaurant and a host of world-class amenities. 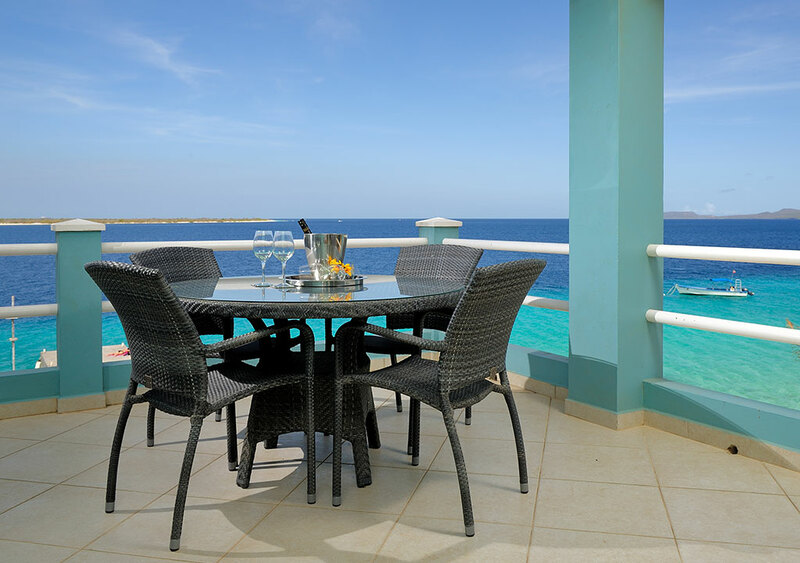 Plaza Resort Bonaire is an all-inclusive beachfront resort set in beautiful tropical gardens with a wide array of amenities, spacious accommodations, palm-studded beach and first-class Toucan Diving at your service. You'll never have to purchase a meal or drink here -- it's included in your stay! 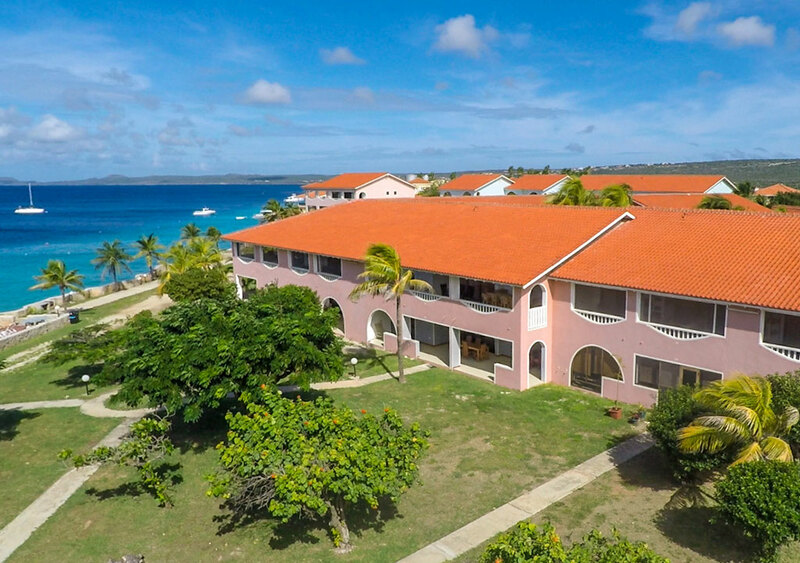 Sorobon Beach Resort is a complex of 30 chalets located on Bonaire’s finest beach, fronting the shallow, crystalline waters of Lac Bay. Under new management and recently updated, Sorobon welcomes friends, families and visitors to this once private enclave. 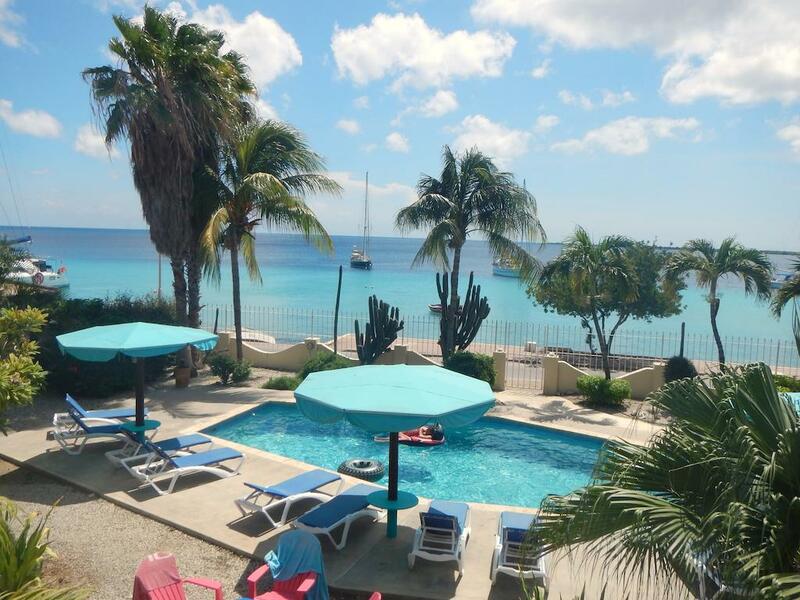 Bonaire Oceanfront Apartments are an economical option in the heart of town with their own Buddy Dive shop available for tanks, airfills and gear rental. 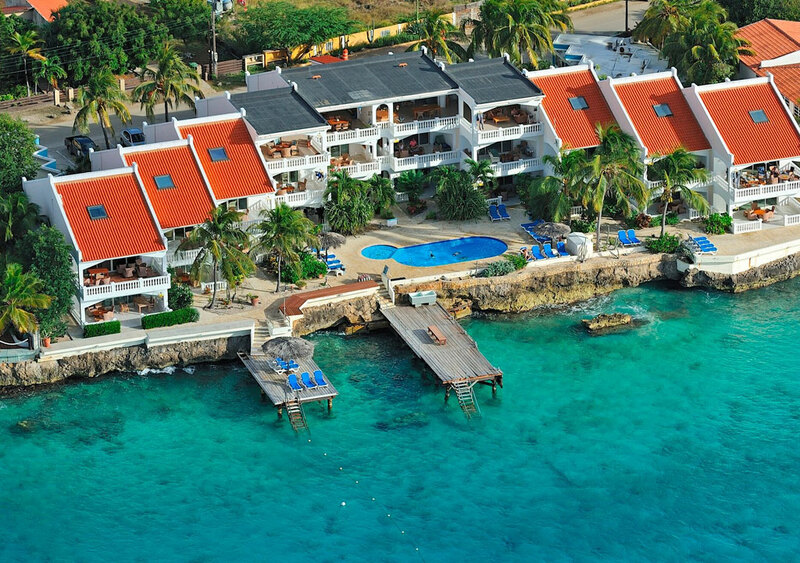 Bring your colorful Caribbean diving escape to life at Courtyard Marriott Bonaire. 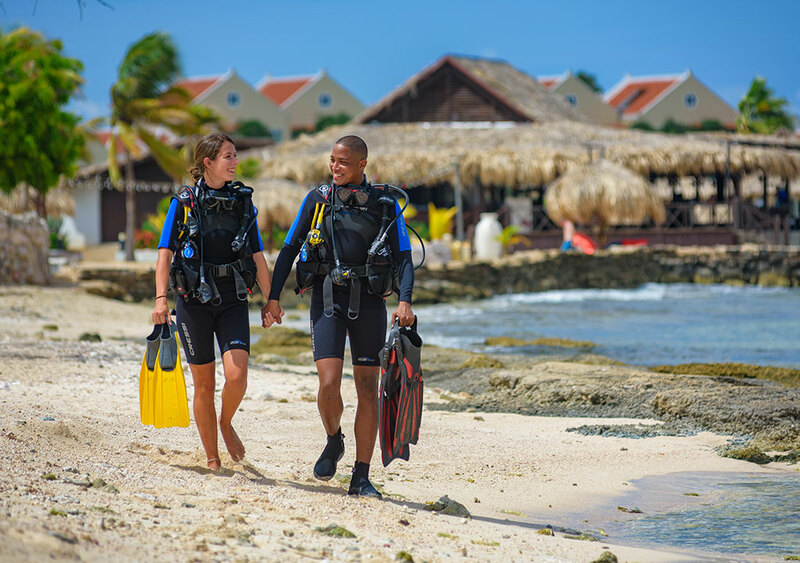 Courtyard Marriott Bonaire Dive Resort is the island’s first resort combining all the luxury, safety and comfort of the Marriott Brand with Bonaire's legendary tranquility and world-class diving from our onsite dive center.